In memory of Doris Lauinger, a new star in the sky. A wonderful star for a good friend! You have chosen a perfect model for our dear friend - Doris. She was my pen-pal, fellow folder and friend. We not only shared the passion of origami, we shared the passion and love for origami stars. 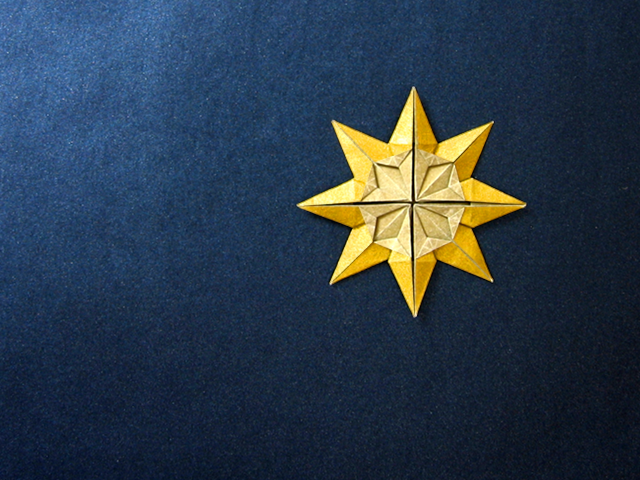 We exchanged countless origami star diagrams and video tutorials over the years. Thank you Sara for honouring Doris. Doris would be happy if she could see how many people missed her.